Going back on the Utah/Arizona trip train and this time I'm revisiting the Toadstools hike that we did on our way to Zion national park back in November. 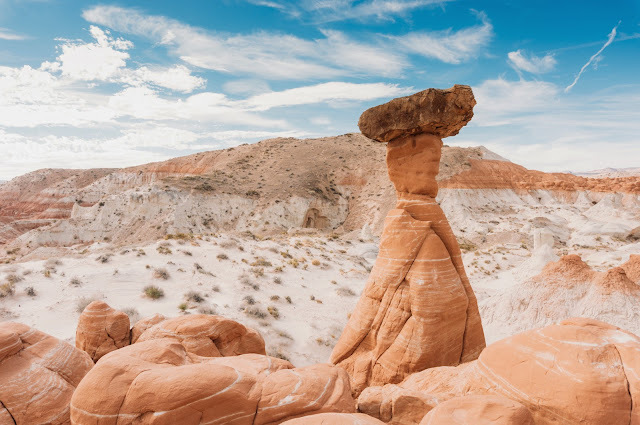 Toadstools are rock formations where the top layer of rock is stronger than the lower layers and over time, the weather causes the weaker rock to erode. The erosion occurs faster for the weaker rock naturally, so all around this hike there are multiple rock formations that look like the little guy from Super Mario! The whole trail is pretty much flat until the end where there is a little hill to climb up to another flat area. 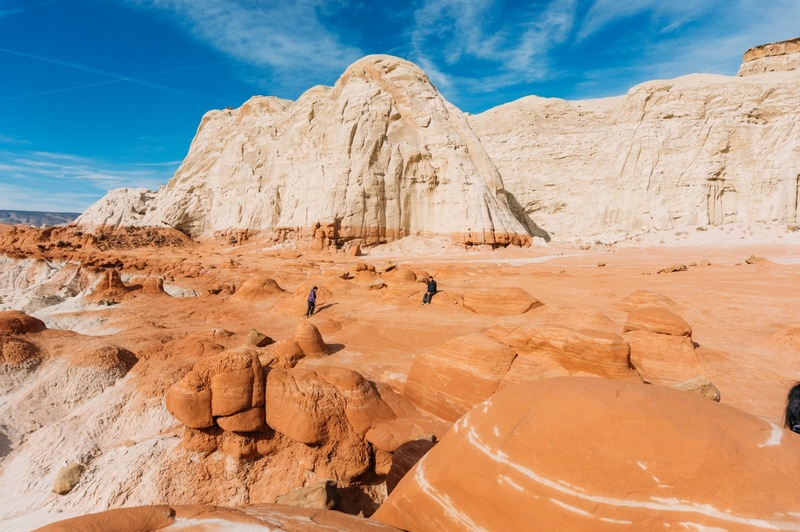 When you are the end the of the trail, all of the orange rock makes you feel like you are on a while other planet. 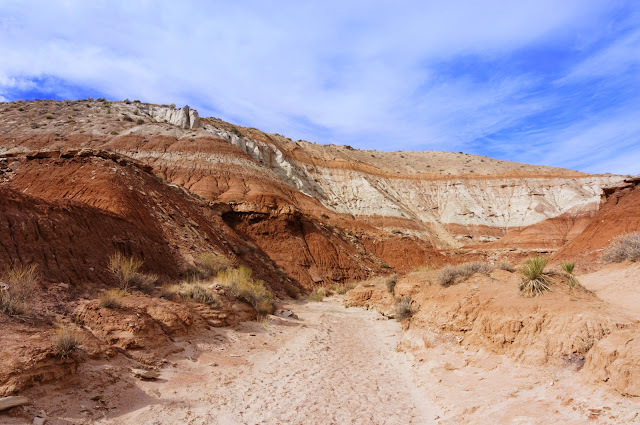 This is a quick hike if you are looking for something to do between Zion and Page, AZ.